Pooling money and resources for others, also known as “crowdfunding,” is perhaps the ultimate act of collective cooperation. These days, individuals and organizations in need can rely on the kindness of strangers for causes as disparate as disaster relief (Japan Fund), citizen photojournalism (Emphas.is), community campaigns (IndieGoGo), poverty alleviation (Kiva) and creative project seed money (Kickstarter). As members of the ‘crowd’, we can even invest without an overt exchange of money, by participating in activities such as sharing, bartering, volunteering, renting, repurposing, lending or “locavesting.” The social economy, in fact, is providing the outlet for many frustrated citizens to steer away from the same conventional economic practices that have led to burgeoning debt, an unregulated banking system and outdated indicators of growth. 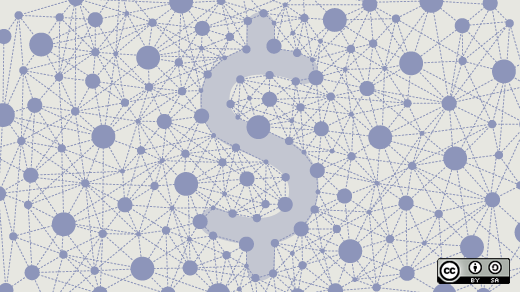 The Web 2.0 world has undoubtedly streamlined approaches for improving access to financial capital, but impact investing is not just about funding: one of its core components is trust, and the belief that members of the public can do remarkable things for their communities, if given the means to. Fund-seekers are often trailblazing innovators who see things differently, and therefore need to go beyond traditional financial models to increase their capacity. In comes the social economy, which with its non-traditional flows of capital democratizes access to resources while simultaneously promoting community resilience. Often underestimated and underrepresented, the social economy is today’s unsung hero and the backbone of democracy, comprising countless cooperatives, foundations, associations and NGOs. Over the years, the sector has been credited with increased skills and job opportunities, greater diversity in service provision, improved social inclusion, and multiple value-based projects that promote cooperation and transcend the logic of profit-seeking. At the city-level, what happens in resilience circles, lending networks, co-working spaces, social enterprises, business alliances and public spaces can have surprisingly far-reaching social outcomes. Here are some inspiring projects that are doing just that, one impactful investment at a time. Timeraiser: Timeraiser was conceptualized in 2002 as a way for a group of friends to find meaningful, relevant volunteer opportunities in their community. Today, Timeraiser is an event that links organizations with prospective volunteers through a silent art auction where, instead of money, participants bid volunteer hours in increments of five. So far, the event has generated over 51,000 volunteer hours and has invested over $300,000 in the careers of emerging artists, linking 5,000 Canadians with over 250 charitable organizations across the country. Banca Etica: An ethical bank is a financial institution concerned with the social and environmental impacts of its investments and loans. Banca Etica, one of Europe’s first ethical banks, manages savings raised from private citizens, organizations, companies, and institutions and invests them in initiatives pursuing both social and economic objectives. Maximum transparency is one of the main principles of ethical finance and the bank continuously encourages active involvement of shareholders and savers in the company’s decision-making processes. 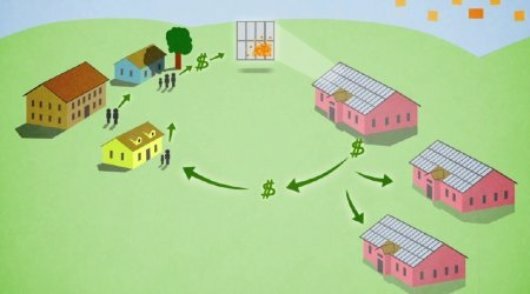 SolarMosaic: Solar energy meets the sharing economy with Solar Mosaic, a marketplace that anyone can access to create solar projects and finance them from their communities, both locally and online. Just as Landshare connects growers to people with land to share, Solar Mosaic connects people who support solar energy with others who have ample rooftop space. The initiative allows investors to come together to build community solar projects through “tiles,” a $100 share of a Solar Mosaic of choice. Likeminded: is a project by the Craigslist Foundation that leverages the extensive reach of online organizing to inspire people to volunteer to make their communities better. As an online tool, its aim is to “connect leaders with ideas for local change” by facilitating access to the resources they need to effectively engage in community building. Likeminded also increases the exposure of success stories and meaningful local initiatives, maximizing collective learning and capacity-building. CSI community bonds: When the Centre for Social Innovation had the opportunity to buy a beautiful building in downtown Toronto, it first had to find an innovative solution to an age-old problem: “How does a small nonprofit organization, lacking a single asset, raise money to grow its operations?” What was needed was a change in the existing funding mechanisms. Staying true to its identity, CSI came up with the idea of a ‘community bond.’ Conceived as a loan that offers both a social and financial return on investment, community bonds are available with a minimum investment of $10,000 and are repaid on a 5-year schedule at a 4% return. This way, the bonds increase CSI’s collective social and entrepreneurial capital, foster collaboration in the city, and provide a solid investment for anyone interested in supporting their local economy. Social Impact Bonds: UK-based Young Foundation and Social Finance are developing Social Impact Bonds as a way to facilitate the investment of money into social outcomes. They do so by innovatively linking three elements: investments by commercial investors or foundations, a concrete action program by a community group, and commitments by national governments. Social Impact Bonds raise funds from non-governmental investors to pay for the provision of services that, if successful in meeting the community group’s action plan, repay investors with financial returns from the public purse. As these initiatives demonstrate, investing in a community is not just about money. It also enriches places and people with relationships and ideas that build social and local wealth, simultaneously enhancing resourcefulness and stimulating adaptability. Are you a local investor or member of the sharing economy? How do you think cities can pilot and support socially-minded financial mechanisms? Chiara Camponeschi works at the intersection of interdisciplinary research, social innovation and urban sustainability. Her latest project, The Enabling City, is based on graduate research conducted at York University’s Faculty of Environmental Studies in Toronto, Canada. To learn more about the project, visit the website or followTheEnablingCity on Twitter.